Following the May 15 announcement that the next issue of the long-running comic-book indie series Rob Hanes Adventures will feature a “soft re-boot” with a special “zero” issue, WCG Comics has confirmed that the issue will debut at the 2015 San Diego Comic-Con, scheduled July 9-12, 2015. Publisher-writer-artist Randy Reynaldo, under his WCG Comics imprint, will be at exhibitor’s booth #K1 in the Small Press Area (off aisle 1400—see maps below). 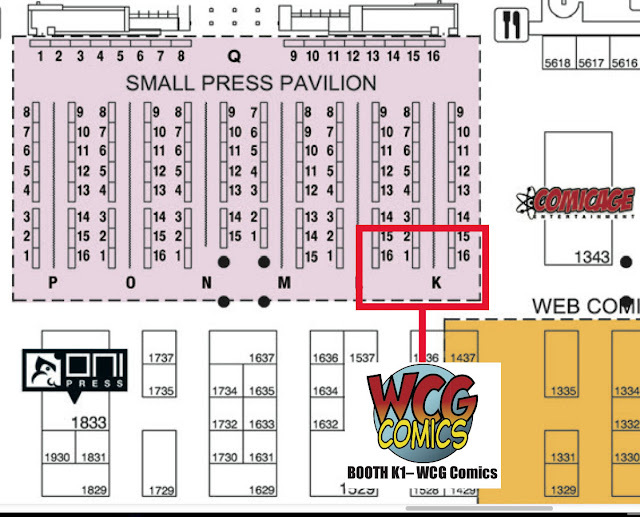 WCG has been a regular fixture at Comic-Con, with this year’s show marking WCG’s 12th consecutive appearance as an exhibitor and 18th overall since the founding of the Small Press Area in 1993. While the new issue 0 provides new readers with a fresh entry point for the series, Reynaldo noted that every issue in the series is self-contained and can be enjoyed without prior knowledge of the series. 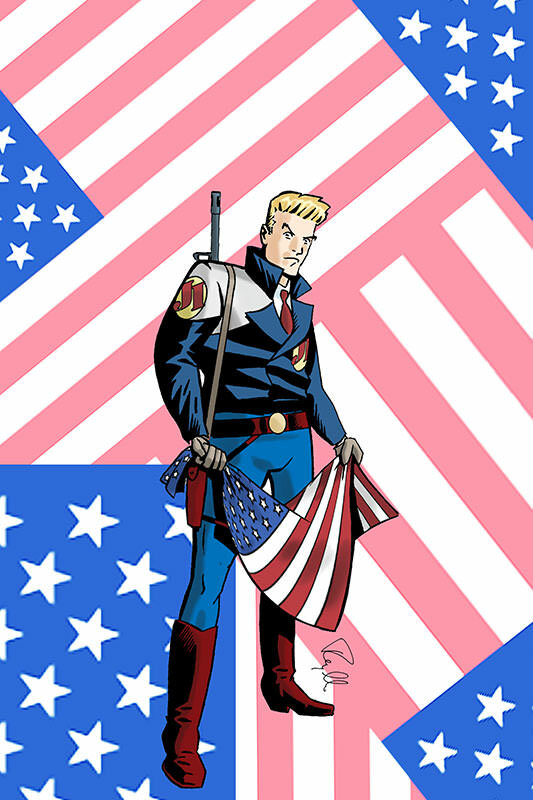 Fifteen issues of the series have been published to date as well as two trade paperback collections of earlier material, and all remain in print and available for purchase. In addition to the new issue, the series’ full back catalog will be available in its entirety for $45 or in specially-priced value packs of four issues. Free give-aways will also be available with every purchase. Inspired by the classic adventure comic strips like Milton Caniff's Terry and the Pirates and Roy Crane's Buz Sawyer but set in the modern day—with dashes of light-hearted humor reminiscent of Will Eisner's Spirit—readers and fans alike have lauded Rob Hanes Adventures for carrying on the spirit of the classic adventure strip genre for modern day audiences. Rob Hanes Adventures has been reviewed, spotlighted and featured in numerous respected comics industry news publications and websites, including the Comics Buyer’s Guide, Newsarama, Comic Book Resources, and Bleeding Cool. The series also was featured at wired.com and included in 1000 Comic Books You Must Read by Tony Isabella (Krause Publications, 2009). The year 2014 marked WCG’s twentieth anniversary as a comic-book publisher. 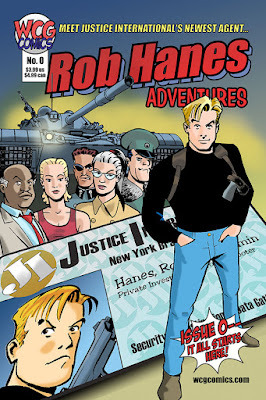 Click here for the May 4 press release announcing Rob Hanes Adventures #0 and to see sample pages. Below is a map to the full floor, followed by a closeup map. This is the second in a series of posts about some of my favorite films. Underscoring the obscurity of this film is the fact that it’s never even been available on DVD (aside from non-U.S. formats), let alone BluRay. Electric Dreams was one of my earliest VHS purchases, bought used from a video store at a time before VHS tapes were relatively affordable. For years I viewed that tape multiple times and had the foresight a few years ago to transfer it onto a recordable DVD before the VHS copy finally gave out (the picture was already quite faded – but I’ve since discovered the film available in its entirety on YouTube!). Though in many ways a product of the ‘80s—with a score by synth disco and electronic dance music impressario Giorgio Moroder and songs featuring the likes of Boy George and Jeff Lynne—the concept was actually very much ahead of its time. Through television, the computer soon learns to speak—and to impress Madeline, Miles asks the computer to compose a song for her. However, the computer (who we later learn is named Edgar) soon falls in love with Madeline itself and becomes increasingly jealous of Miles. Madeline, of course, is unaware of any of this, but in the climactic scene of the film, Edgar tries to ruin Miles’ life by attacking him through the electronic networks, by cancelling his credit cards and reporting him as a wanted felon in the system. At the time of its release, the film certainly stretched credibility since there was no World Wide Web or Internet yet, and modem communication networks were very much in their infancy. 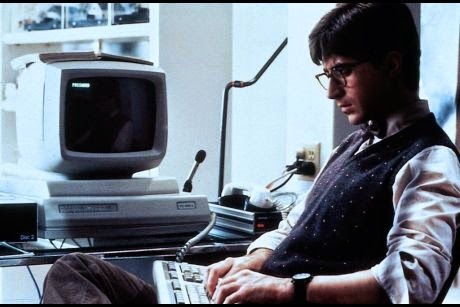 Nevertheless, the film in retrospect is quite prescient in predicting the potential of using the communications grid to hijack identities and hack the system. The film’s director was a successful early music video director and the movie definitely reflects that sensibility. Nevertheless, having re-watched the movie again recently, the film’s camera work, edit cuts and montage sequences never overwhelm the story and, in fact, serve the story well. Aside from the music, it helps too that the film was not too immersed in trendy ‘80s fashions, so it doesn’t look or feel too dated. I’m happy to say, that the movie actually still holds up well. Frankly, the main reason I enjoyed this film was because I found it very romantic—in fact, I used to watch it when I felt a bit down in my love life and needed cheering up. The filmmakers use San Francisco effectively as the backdrop, giving the movie some character and a strong sense of place. (Ironically, with the exception of some exterior sequences, the film was mostly filmed in Great Britain.) Even for its time—and especially in today’s era of self-awareness and snarkiness—the characters and their story project a sweetness and innocence you rarely find in films these days, and the two leads have great chemistry as two lonely young singles who not yet cynical or too experienced in love; and actor Bud Cort brings the computer to animated life with voicework that makes the character, by turns, funny, scary and threatening; but also childlike in trying to deal with its emotions and understanding the concept of love. At the end of the film, Edgar the computer’s epiphany about the meaning of love gives the film its heart. Anyway, it’s a film that came into my life at the right moment and remained a touchstone for me for many years as a young single. Postscript: In doing some research into the movie, I was glad to come across some interviews that note that both lead actors continued to have happy memories making the film. It was a kick to see other like-minded people on Amazon asking the powers-that-be to release it on DVD.